During many years as an entrepreneur, Cheri gained many skills that have greatly benefited her in her role as CEO of Missions of Grace (MOG). The knowledge and experience in marketing, bookkeeping, budgeting, sales, and simple hard work helped her relate to a wide variety of people. Cheri was also the Texas Coordinator of the Prison Fellowship Angel Tree project for five years in the early 90’s; the final year reaching out to 5000 children of prisoners. She lived and worked full-time for Missions of Grace in Nicaragua for almost nine years and continues to lead missions. Cheri has ten children of her own, also giving her that special perspective that most others would never have…Get to know Cheri better and read the rest rest of her story — soon to be published here. Martita currently works as Head Nurse at the Las Salinas, Rivas Nicaragua Health Post for the Ministry of Health. 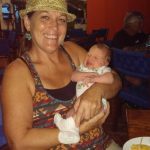 Martita generously and effectively began working with MOG in 2009 and has been in charge of all our Nicaraguan medical projects ever since. Missions of Grace is currently working towards hiring Martita full time. Visit Project Ultrasound for a more in depth view of this important medical project. Rachel has been the right-hand of Cheri for over 20 years. She is a natural net worker and has served in too many capacities to list. 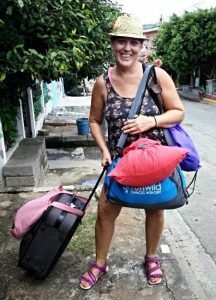 She has worked with MOG in Nicaragua; assisting with the Indigenous Community, the Ministry of Health, the local volunteers and so much more! She is currently part-time in the home office and networking online and locally. Sarah has lived in Nicaragua for almost twenty years. Sarah and her husband, Baldo, tend to the Recreation/Fun Days for the teams that travel to Nicaragua with MOG. Sarah also is our in-house translator (Spanish) and aids in working with the Nicaraguan government. We are always looking for those that are interested in joining with us in our efforts… Volunteering, Fundraising and more. Please contact us with any interests or questions you may have.